Manchester United manager Jose Mourinho is having to juggle a range of injuries at a "crucial moment" of the campaign. The Red Devils secured safe passage to the FA Cup quarter-finals by winning 2-0 at Huddersfield, kicking off a crunch run of games. 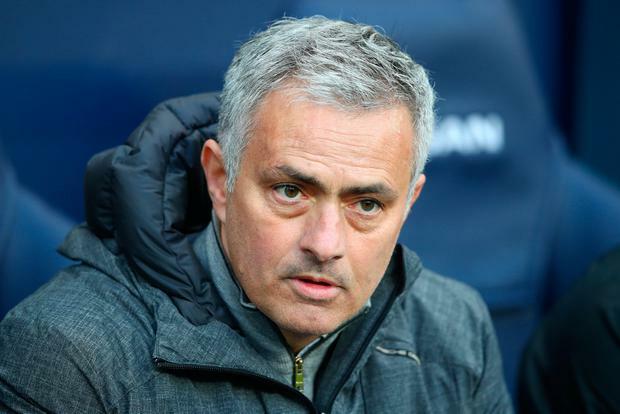 Mourinho's former club Chelsea arrive in the Premier League on Sunday, after Wednesday's Champions League last-16 first leg at Sevilla, with the United boss sweating on several injury issues ahead of the games. "I didn't rest one single player, so we had every player available here," the United boss said after winning at the John Smith's Stadium on Saturday. "I brought two kids (Ethan Hamilton and Angel Gomes) that played 90 minutes yesterday (for the under-23s) because I don't have another player. "Can we recover some of them for Wednesday? I believe so. (Marcus) Rashford, (Ander) Herrera, (Antonio) Valencia, I think they have a chance. Paul (Pogba), I don't know. "Marcos Rojo, Phil Jones, Marouane (Fellaini), Zlatan (Ibrahimovic) - I don't think they have any chance, so we arrive at this crucial moment with some problem. "But I think mentality is very important. And we have a strong team, strong bonding, strong team mentality. We know it is a very difficult match - but we go for it." David De Gea is set to return to the fold at Sevilla having been rested at Huddersfield, where Daley Blind was also absent as he recovers from injury. United took the unusual step of confirming he would miss out through illness hours before the match and Nemanja Matic hopes Pogba is back to face Sevilla, despite the team coping without him in West Yorkshire. "He is an important player for us, this club, but he is ill, and I think that we in the midfield did a great job," Serbia international Matic said. "Michael (Carrick) is an amazing player, even at 36 he ran a lot, and Scott (McTominay) played amazing. "I am not sure what has happened, I think he (Pogba) was ill and didn't feel very well this morning, so I hope he will be ready for the next game." "He is very important for us," Matic said. "He is our first striker and he is very important to us. "It's very important for his confidence that he is scoring goals and he is a great striker, very strong and he is still young, I am sure he will be important for us until the end of the season. "You have to ask him how he feels. I am happy we have him in the team. He scored two goals and the striker is there to score and he did exactly that."